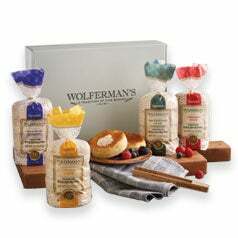 Wolferman's has maintained a tradition of providing specialty foods for over 100 years, with our first store opening in 1888. 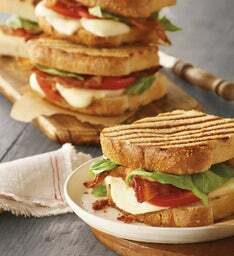 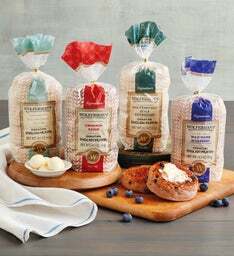 From the very beginning, we've crafted gourmet quality breads, relying on time-tested recipes and only the finest ingredients. 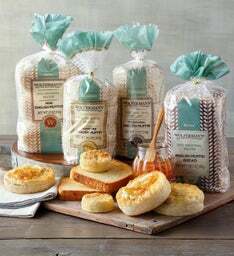 Today, we're as committed as ever to making exceptional bakery selections readily accessible for anyone to order bread online. 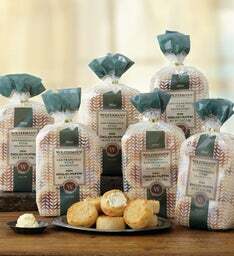 Our extra-thick signature English muffins are perhaps our most recognized gourmet offering, but as you will find, they are only the beginning. 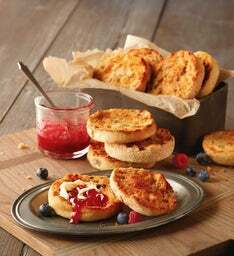 With the same attention to quality and flavor, we offer traditional-sized English muffins, as well as our mini English muffins, both provided in an array of sweet and savory flavors. 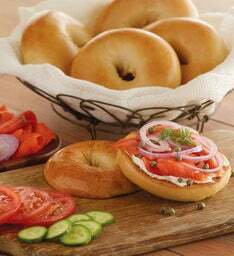 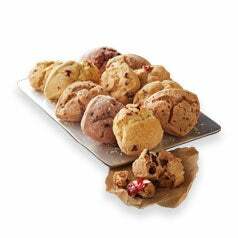 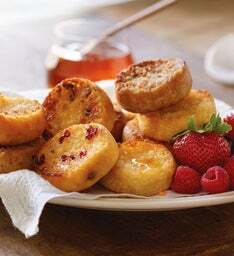 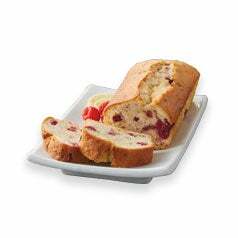 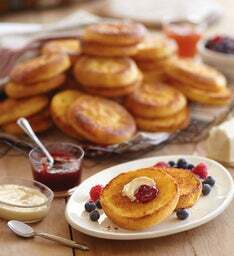 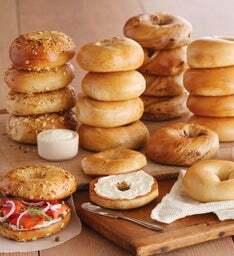 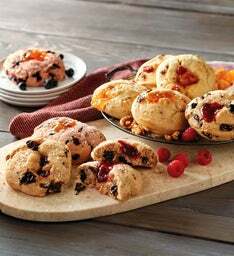 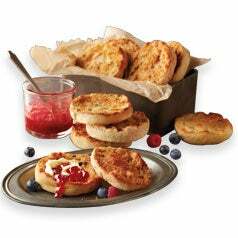 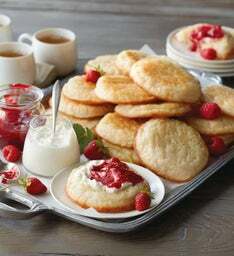 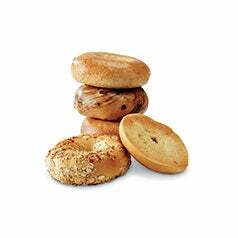 All of our English muffin selections are kosher and freezer-friendly. 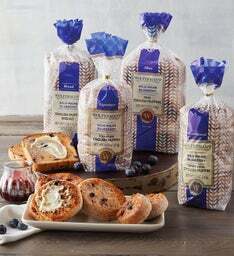 Within our collection of premium breads, you'll also find New York bagels, English muffin bread, croissants, and a delicious assortment of breakfast breads. 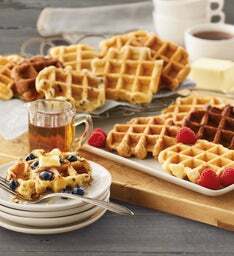 For a delicious and satisfying breakfast, brunch treat, or afternoon snack, top them with one of our gourmet fruit preserves, indulgent butters, or other fabulous toppings. 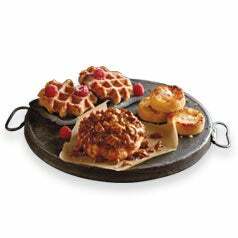 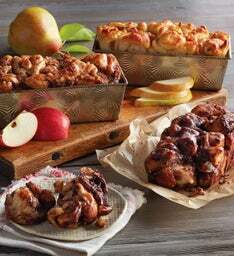 With an ever-expanding array of fine bakery creations, you'll be sure to find your favorite premium breads, perfect for breakfast, brunch, and beyond. 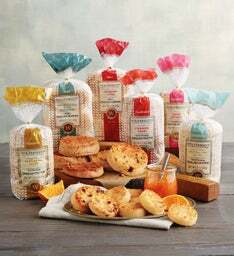 Whether you're stocking up on Wolferman's English muffins in all your favorite flavors, planning your next Sunday brunch, or sending a tasty gourmet gift, Wolferman's guarantees your complete satisfaction, bite after delicious bite.